At first glance, it looks like a Caesar salad. 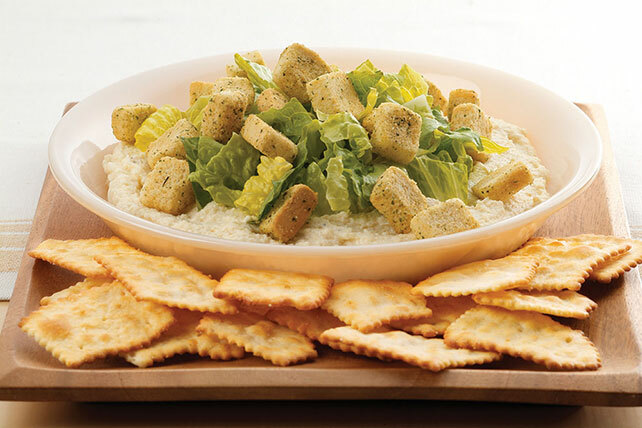 But beneath the croutons and romaine is a luscious dip made with cream cheese and Parmesan. Beat cream cheese, Parmesan cheese and dressing with electric mixer on medium speed until well blended. Spread onto bottom of 9-inch pie plate; top with lettuce and croutons.